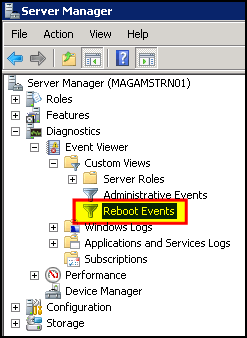 A server reboot can explain related events and alarms triggered by monitoring systems, so it’s always handy to check for reboots first when troubleshooting. 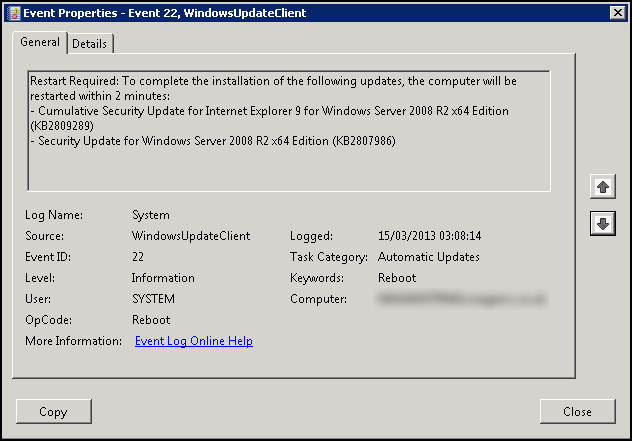 With this in mind, you want a quick and easy way of finding out when the server last rebooted. 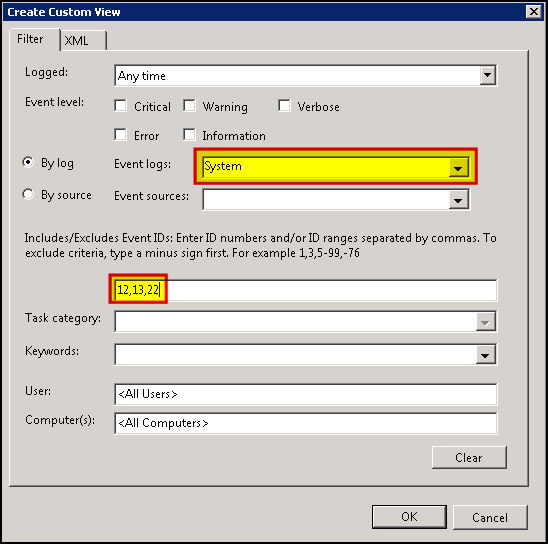 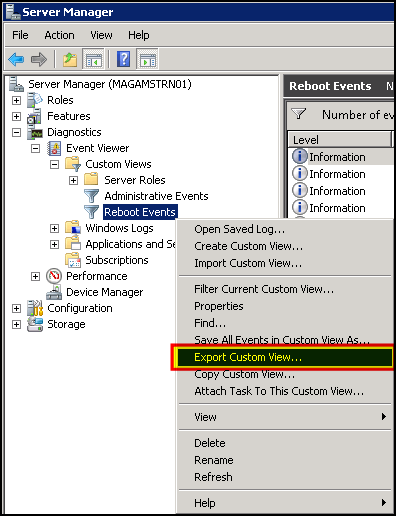 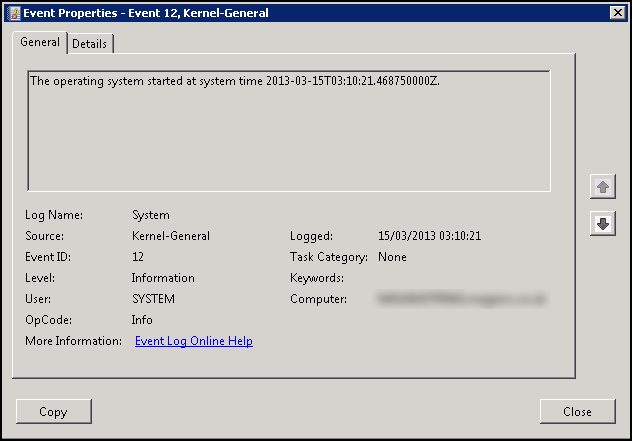 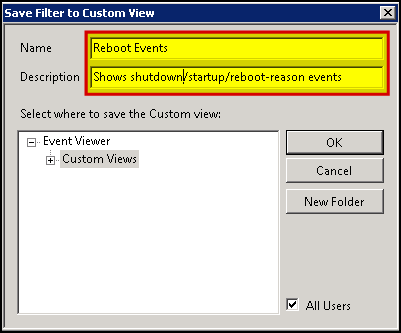 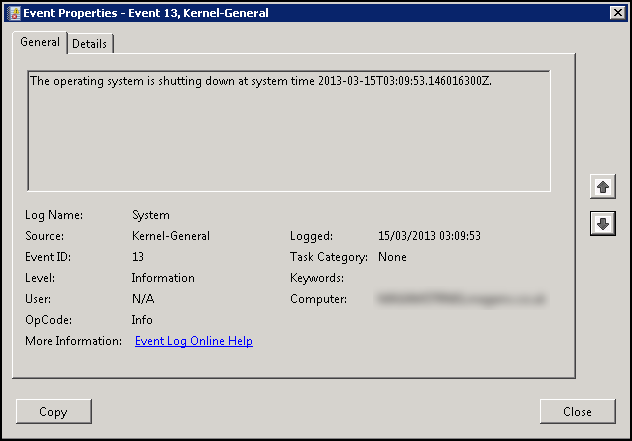 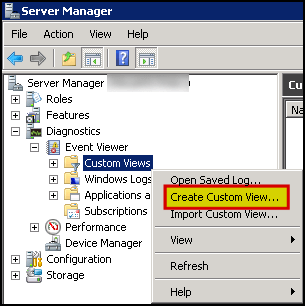 You need to create a Custom View in Event Viewer, that will only show shutdown and startup events, including reasons why the server rebooted.